Cavity Colors has teamed up with Full Moon Features to release a very special capsule collection inspired by one of the most successful and ambitious independent horror franchises of all time, Puppet Master! The Blot loves this iconic B-movie franchise, and this new capsule collection based on Charles Band's original 1989 Puppet Master film is fantastic. As part of the Puppet Master capsule collection, Cavity Colors has released a killer Puppet Master t-shirt designed by Devon Whitehead. 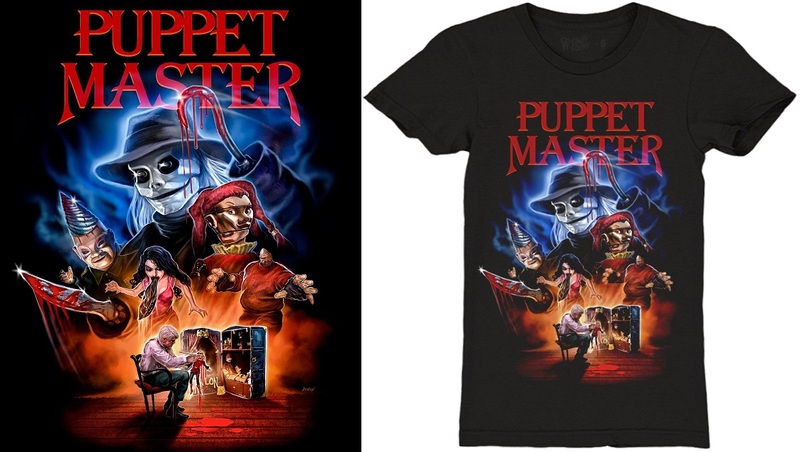 Limited to just 400 pieces, this new Puppet Master t-shirt will never be reprinted once it sells out. Cavity Colors is also releasing a fantastic Puppet Master enamel pin set featuring the first 5 puppets that started it all – Blade, Tunneler, Leech Woman, Pin Head and Jester – direct from Toulon's workshop. 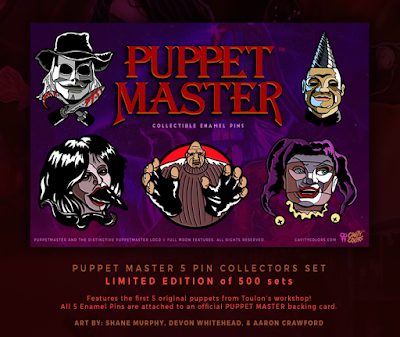 Limited to just 500 sets, these are the very first officially licensed Puppet Master pins every released! Puppet Master fans can purchase all of this awesome merchandise now at the Cavity Colors online store. The t-shirt is available in mens and womens styles, sizes S-5XL, for $26, while the enamel pin set retails for $30.